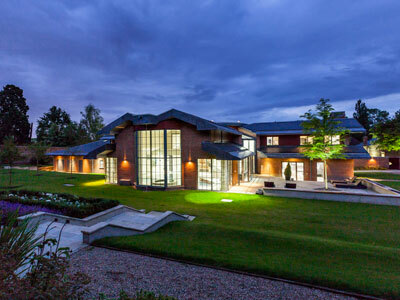 Harford Manor – the latest award winning project from Quada. 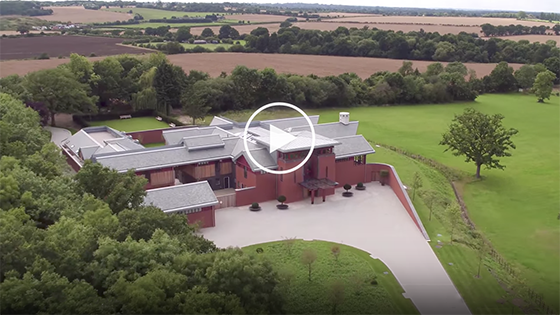 A 40-acre new-build contemporary designed country house estate near Windsor. Quada is an award winning developer specialising in high-end residential homes in the south east of England. We do contemporary design, suited to creating exciting and unusual buildings as well as homes with intimacy and warmth. Our lifestyles reflect the internet age, with advancement of computers, phones, cars, planes and trains that would be unrecognisable 20 years ago. Buildings should be no exception, but not every developer is able to combine a contemporary design approach with a grounded awareness of energy and space. That is what we do. A country estate of 40 acres with a total built area of 32,000 sq ft in a prime location in Holyport Berkshire, just outside Windsor. 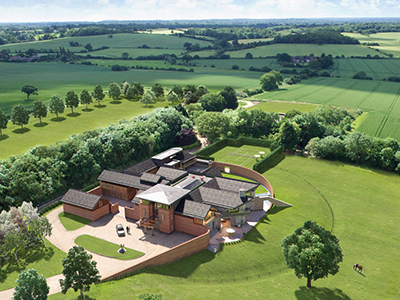 Comprising of a new build contemporary design 17,000 sq detached house with a separate indoor pool complex, stables, indoor and outdoor riding ménages, paddocks, heliport facilities and imposing gated entrance, currently under construction with completion mid 2015. The estate is highly secluded yet has far reaching views including distant views of Windsor Castle. A contemporary design new build 13,000 sq ft house set in one acre of historic walled gardens in a prime location in Esher, forming part of a property which used to be owned by George Harrison. Comprising five bedrooms, six bathrooms, double height central hall, indoor pool, cinema, gym, 4 car garage and staff accommodation, the house was completed in March 2014. 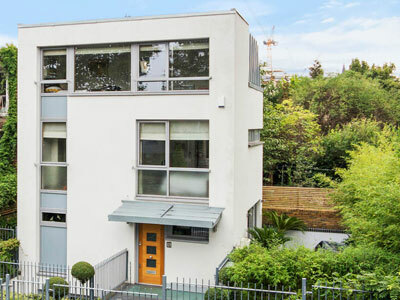 A new build contemporary styled 2,000 sq ft detached house in Putney, South London, completed in 2009. With three bedrooms, basement kitchen and off-street parking the house has a wonderful setting opposite a listed church and grounds. A new-build residential waterside scheme in the centre of Bristol overlooking Bristol marina, comprising of 28 flats totalling 33,000 sq ft. 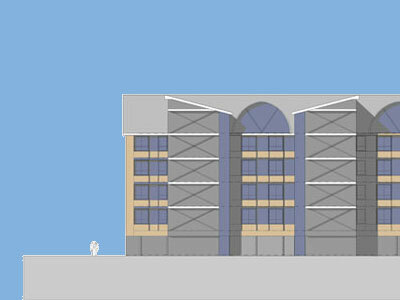 Developed in conjunction with Wilson Connolly Group and completed end 2002. The development necessitated substantial rockface infrastructure works, and remains highly regarded as one of the more interesting design led projects in Bristol. 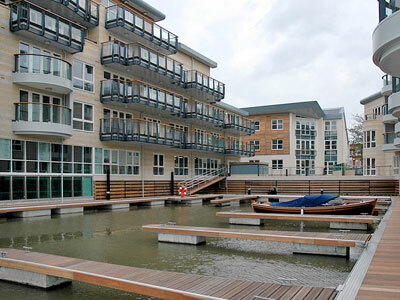 A mixed-use marina development on the River Thames opposite Kingston town centre comprising of 52 flats with 26,000 sq ft of office/retail space. 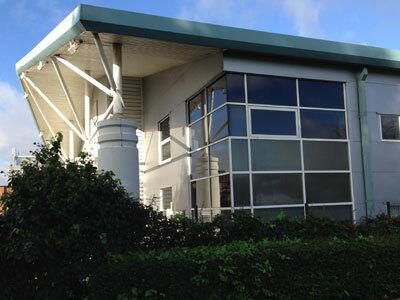 Developed in conjunction with Howard Holdings PLC and completed end of 2003. The development included construction of a new marina for the residents and achieved record sales levels. A new-build 16,000 sq ft distribution centre with ancillary offices and factory outlet centre, constructed in 1998 for East, the ladies' fashion retailer previously trading as Anokhi. Quada also designed the East's offices interior within the scheme. The new building was a significant factor in transforming the retailer's business. 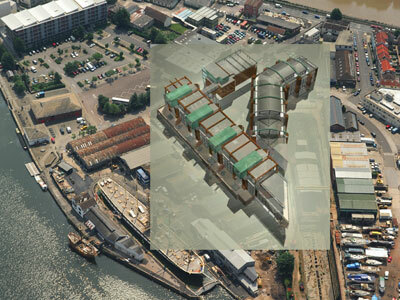 The following additional projects between 2002 and 2005 illustrate Quada's strategy of using design and an integrated mixed use approach to optimise development value in prime areas in the south of England, including Cardiff Bay, Bristol Harbourside, Gloucester Docks and Brentfod in south London. Taken together these projects had a combined development value in excess of £400m. A major mixed use development in the centre of Bristol of 145,000 sq ft, comprising 60 apartments, 65,000 sq ft offices and 10,000 sq ft of shops and restaurants – including 10,000 sq ft of commercial affordable space for marine workshops adjacent to Bristol's one surviving graving dock. 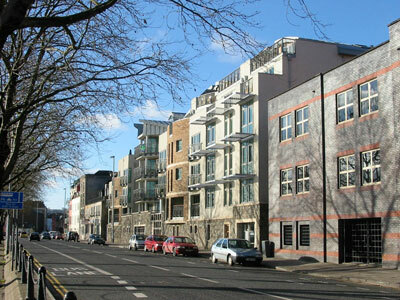 Quada obtained planning in 2005 and sold the project on as the market turned in 2008. A dockside mixed-use scheme of 64 flats totalling 47,000 sq ft and a further 5,000 sq ft restaurant space, tendered in October 2002 in partnership with Wolsey Securities.